If you~re looking for a new handbag for the season then you~ve found it! Made of pebbled leather upper. Zipper closure. Dual, rolled handles with detachable, adjustable crossbody strap. 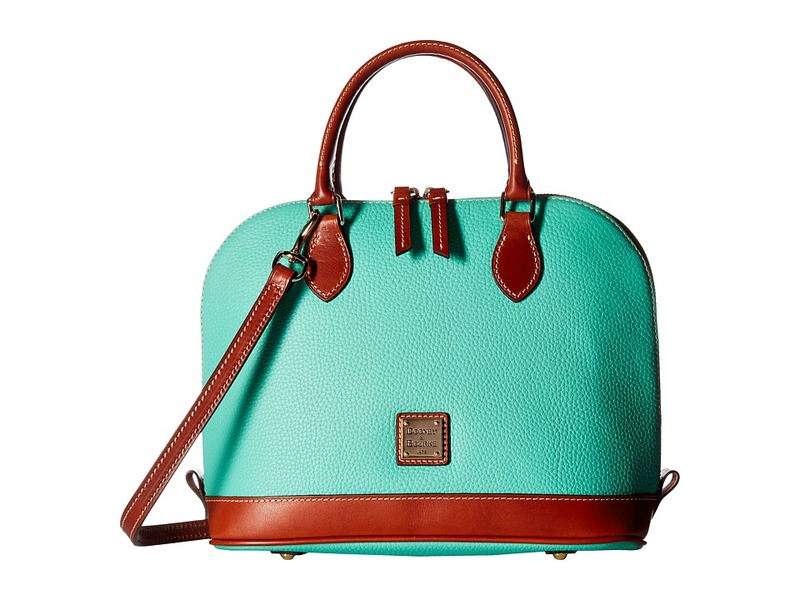 Comes in a variety of pop colors with leather trim accents. Signature logo hardware. Flat base with metal feet. Lined interior features zipper pocket, three slip pockets, and key hook. Imported. Measurements: Bottom Width: 11 3 4 in Depth: 5 in Height: 9 1 2 in Strap Length: 35 1 2 in Strap Drop: 16 1 2 in Handle Length: 11 3 4 in Handle Drop: 4 in Weight: 1 lb 13 oz Please note, the hardware color and interior lining may differ from the color shown in the photo.